You’ll never forget the first time you see Kashmir. It’s usually from the tiny window of a plane, as you circle above snow-capped mountains, lush valleys criss-crossed with sparkling streams and crystalline lakes. It’s love at first sight! Once you land, Kashmir is even more enchanting. There are bright wildflowers everywhere, charming people, delicious food, fruit orchards and pine forests to wander through, and rolling green meadows to explore. It’s a true paradise on earth, and you’ll find it hard to choose from these top places to visit in Kashmir. The best time to visit Kashmir is during summer, from March to August. 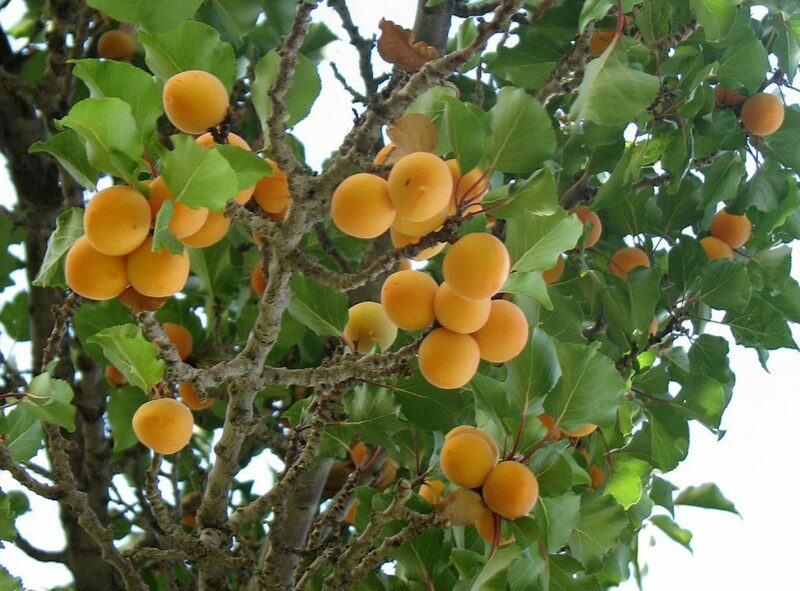 During these months, Kashmir is full of spring blossoms and the weather is pleasant. There are a number of stunning Kashmir getaways and something for everyone to do during these months. If you’re looking for a winter wonderland, visit in winter. You’ll love the snowy slopes and the fun snow sports here, but be warned: it can get bitterly cold. This trek takes you to some of the most gorgeous lakes you’ve ever seen. You’ll visit Vishansar, Kishansar, Gadsar, the cascading lakes of Satsar, and the twin lakes of Gangabal and Nundkol. You’ll hike through high altitude meadows, cross icy streams, and camp on the banks of lakes at night. 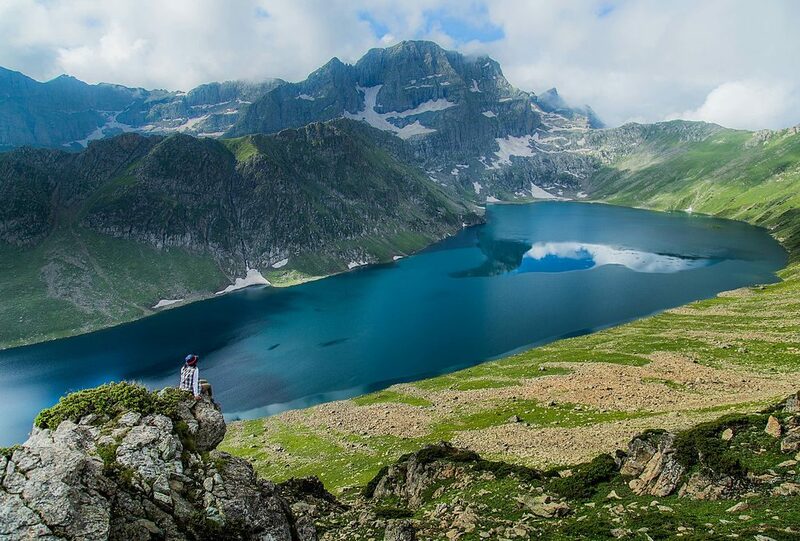 The Great Lakes of Kashmir trek is spread over 8-9 days, and involves long hours of walking. It is suitable for fit beginners who want to see the best places to visit in Kashmir, but you’ll have to be prepared to walk for about 9-15 kms per day. You’ll go as high as 13,700 feet, and may run into some rainy weather. The Zanskar river flows through the surreal landscape of Ladakh, carving gorges and canyons as it rushes down to the plains. During the summer, the river is a perfect location for rafting, and during the winters it transforms into a sheet of ice. This is the location for the Chadar trek, one of the most unique experiences in the world. 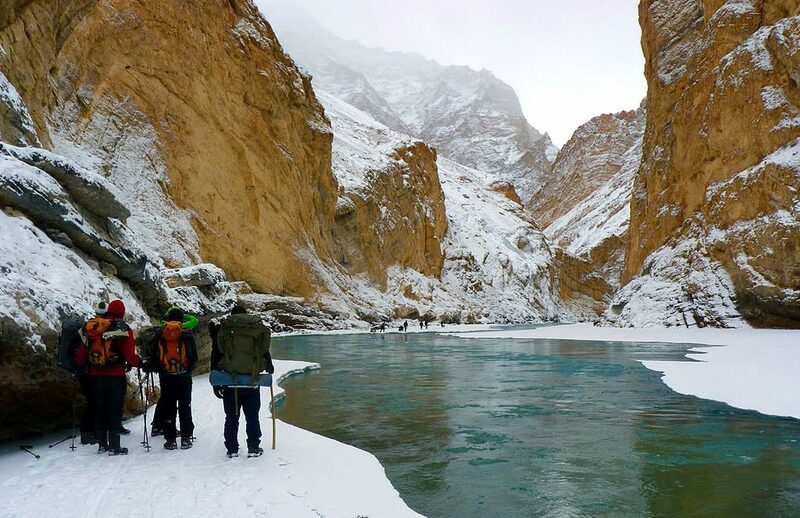 You’ll be going for this trek during the coldest days of a frigid winter, when the river freezes over, forming a sheet or ‘chadar’ that you’ll be walking on. You’ll be navigating patches of broken or thin ice, always deeply aware of the freezing Zanskar river, churning just beneath the ice. There are waterfalls frozen in mid-flow, ancient caves to discover, and maybe, if you’re lucky, even a visit from a curious snow leopard. As you trek, you’ll witness breath-taking views of the dramatic landscape, majestic snow-clad peaks, hanging icicles, and weather-blackened trees. This is not an easy trek, but will take you to some of the best places to visit in Kashmir. Check out all Chadar treks. For beginners to trekking, Sham Valley is one of the best places to visit in Kashmir. This is an easy trek that starts in Leh, winding through the Apricot Valley, named after the many apricot orchards that dot this valley. While most of the land around is arid, this oasis lies along the river, and is usually green and beautiful. The best time to visit in the months of May to October, when the weather is pleasant. You’ll visit charming villages, famous Tibetan monasteries like Lamayuru, Spituk, Likir and Alchi, and stay at homestays or campsites. 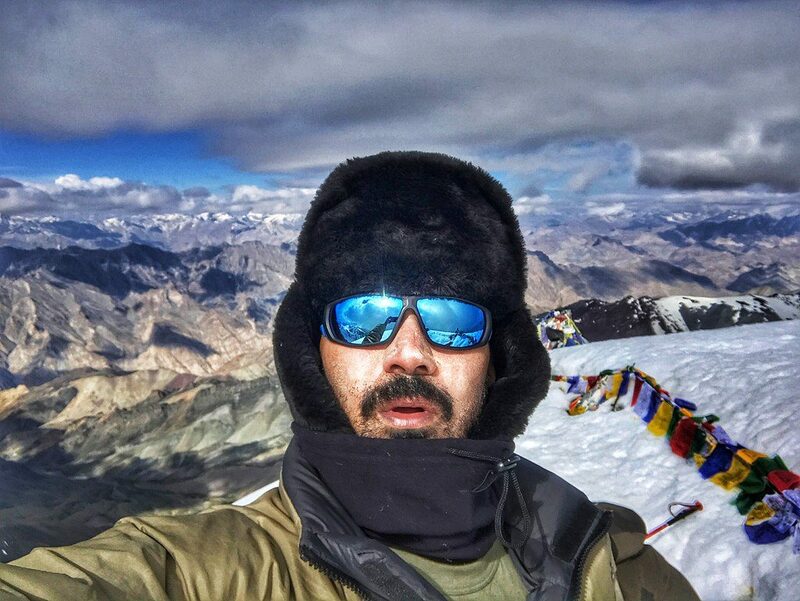 Check out treks in Ladakh. Trekking in Kashmir is a fabulous adventure, and Stok Kangri is one of the best places to visit in Kashmir for a thrilling trek. This is a challenging trek, not suitable for beginners, and requiring some training even for experienced trekkers. 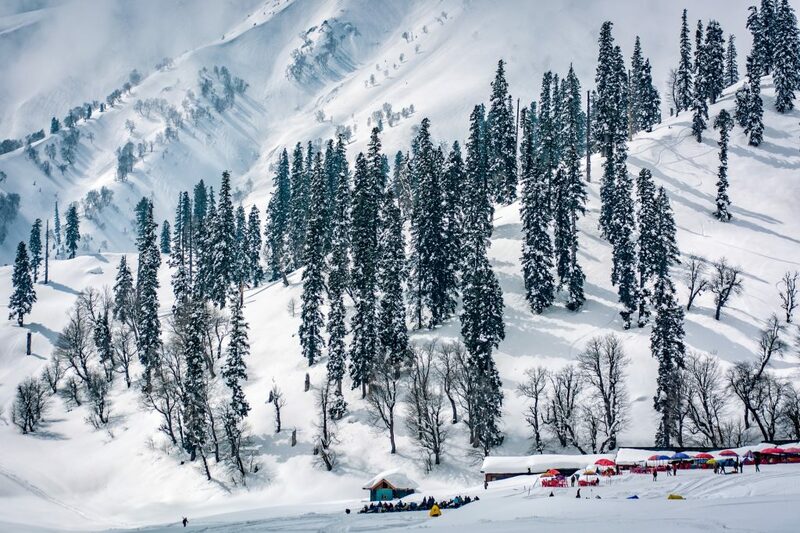 However, it doesn’t need any technical skills to get to the peak at 20,000 feet, which makes it one of the top destinations in Kashmir for adventure buffs. As you trek to the peak, you’ll get spectacular views of the Indus Valley, and maybe even a snow leopard or wolf. Check out treks to Stok Kangri and other peaks in Ladakh. For those looking for a shorter Kashmir getaway, rafting is just one of the many adventure sports that Kashmir has to offer. 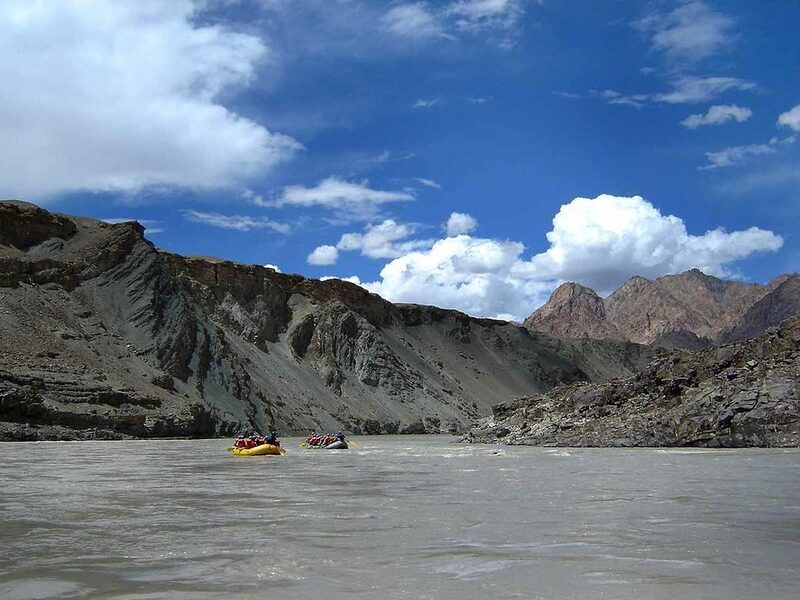 The best time to visit Kashmir for rafting in the Zanskar River is during the months of June to August, when the icy river is fully thawed after a long, freezing winter. The fierce rapids on the river attract people from all over the world, and it’s a thrill-a-minute ride. The route goes through many deep gorges, offering plenty to look at, and a lot of fun. It’s also one of the best places to visit in Kashmir because you’ll get to see the stunning confluence of the Indus and the Zanskar river. Check out rafting trips in Ladakh. One of the best ways to see a new place is on a motorbike. You’re not as closed off as you would be in a vehicle, and until you’ve swallowed some of the dust of this new place, it’s not really a part of you! A short biking trip in Leh is a top Kashmir getaway that offers adventure, scenic landscapes, and glorious views. You’ll have to arrive a day or two early to ensure that you are fully acclimatized. After that, you’ll set off to explore some of the best places to visit in Kashmir. From ancient monasteries and the moonscapes of Lamayuru, to the desert of Nubra Valley with its double-humped Bactrian camels, and of course, the spectacularly blue Pangong Lake, your trusty bike will take you everywhere. Most biking itineraries offer bikes on rent, but if you’re a passionate biker, you can even pay to transport your bike to Ladakh. Do make sure you’re properly kitted out, according to the operator’s instructions. Motorbiking in Leh can be risky and difficult, and the right gear could save your life. 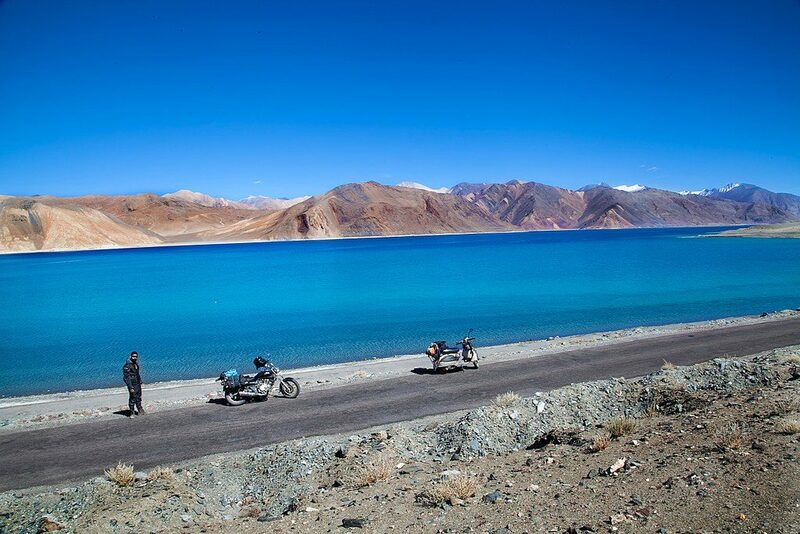 Find motorbiking trips in Ladakh. The best biking routes in India. Have you been whitewater rafting in India?